TenguLife: The curious guide to Japan: So, did Japan apologise? A German friend once explained to me that when he talked to his children about the War that he still experiences heartfelt remorse even though he was born in the years following. He doesn't feel he has to revisit that every day but he said to his son "we made a mistake". He was open, honest and clear about his feelings. I hadn't even asked him about the subject, the conversation had just progressed there as we talked about raising our children. No one would even consider Angela Merkel should include an apology if she spoke to the British Parliament. And yet today US veterans, heroes of the day, consider it would be appropriate if Japanese Prime Minister, Shinzo Abe, were to address the US Congress. Why? The Western perspective of an apology is that it is a two way street. It has to be given and it has to be accepted. It must be sincere and it must be unequivocal. It carries remorse as well as recognition of responsibility. And once given, it cannot be recanted. But Japan is not a western culture and here lies the root of the continuing controversy. Seventy years after the end of this global conflict, many in the West remain unconvinced that Japan's apology was genuine, though most Japanese would consider it now to be a closed issue. In the early 1990's, Prime Minister Murayama apologised and that should be an end of it is the position. But still, in 1998, British veterans of the Pacific War turned their backs on the Emperor on his state visit to the UK. Adding to the dilemma is that the war was fought in the name of the Emperor and it was considered taboo to criticise the throne whilst he remained, in the eyes of many, a living god. 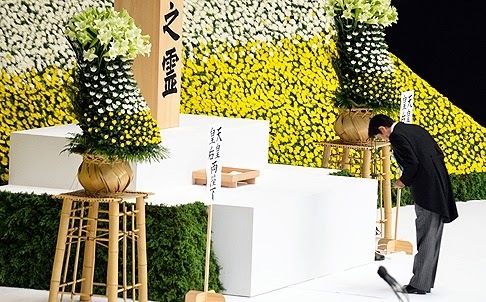 So as Abe "reconsiders" Murayama's apology, confirming the view point of some that they were empty words in the first place, what we have is not a question of whether Japan apologised but the view points of two very different cultures. So, to answer the question "did Japan apologise?" the actual position to some is "yes" and to others "no". But life for Germany has moved on whilst, seventy years later, Japan remains dogged by the question.